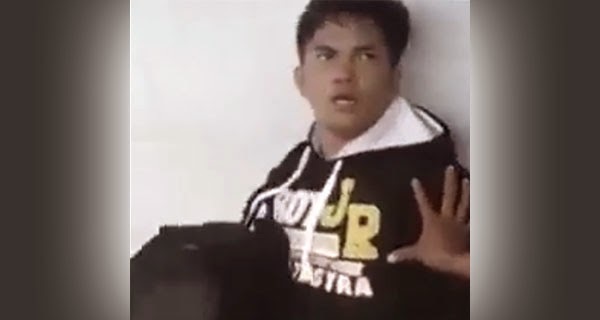 An overseas Filipino worker (OFW) who was deported from Saudi has been caught on video getting agitated when he arrived at the airport. The Facebook page "Mga Pilipino Sa Gitnang Silangan (Ofw in Middle East Country) V.2" posted the 23-second clip last Sunday, March 1. The caption mentions that the OFW appeared troubled. When airport security officers approached him, the OFW reportedly said "pero para naman sa pamilya ko ang lahat ng ito [but all of this is for my family]!" It can be be seen in the video that a security guard pushed him back when he tried to walk away. Someone is also heard telling him to get inside the airport. Social media users criticized how the OFW was treated, saying airport security officials mishandled the situation. However, one netizen posted a relevant information about the OFW and encouraged everyone to refrain from making prejudgements. In a comment posted Wednesday, March 4, a certain Nonoy Ekang said the incident happened last February 27 at 9:10 AM. Because of the OFW's condition, the security officers barred him from leaving the premises of the airport for his own safety. The OFW was fetched by his inlaw and representatives of the Overseas Workers Welfare Administration (OWWA) and is now with his family, the commenter from Manila explained.